It’s April and the nights are closing in and the air is crisper. 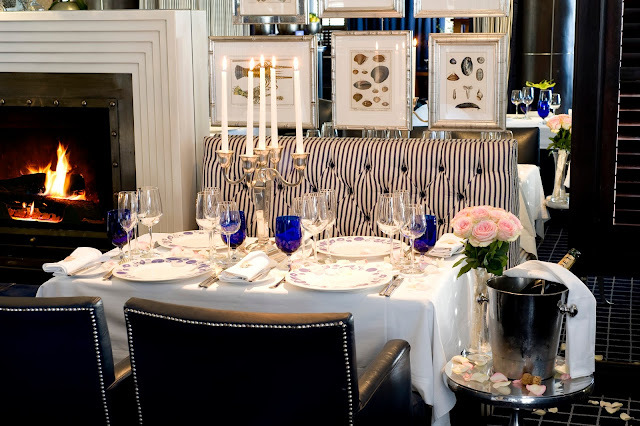 Starting with our festive Easter line-up, The Twelve Apostles Hotel and Spa is preparing for a smorgasbord of culinary and entertaining events to delight guests throughout the colder months. Grab your Easter bonnet and make your way to The Twelve Apostles for our Easter Lunch Buffet. This event will take place in both the Azure Restaurant and Atlantic Marquee from 13h00 on the 16 and 17 April at R495 per person. Our Easter High Tea will ensure that even the sweetest tooth will be satisfied. With two sittings from 10h00-12h30 and 14h30-17h00, in The Conservatory on April 15 and 16, guests are in for a treat. A treasure hunt and lawn games for the kids is also included. Price is R310 per person. The ever-popular High Tea By The Sea will still be served in The Leopard Bar throughout the day from 10h00-16h00. This includes a three-tiered high tea stand, with a selection of both savoury and sweet items, served to order at your table. One a penny, two a penny… The Hot Cross Bun and Tea Special in the Café Grill from 14-17 April, includes a hot cross bun and a pot of tea or specialty coffee at R85 per person. Foodies rejoice!! A taste exploration AND a great night out is on the cards! Our Dégustation Dinners offer a wonderful combination of flavours and textures across six mouth-watering courses. Starting on 5 May, the dinners will take place on the first Friday of every month in the Azure Restaurant. Price is R2150 per person for a six-course dinner or R2950 per person for the wine-pairing menu option. The Chefs exclusive Degustation table can accommodate between six and 12 guests. Booking is essential. Wine lovers gather round for the Constantia Uitsig Wine Dinner on 28 April, with a sumptuous five-course menu and wine pairings. Price is R585 per person. ‘Moms’ deserve an extra spoil on Mother’s Day and this year, The Twelve Apostles is offering a host of special treats that will show your mom just how much you love and appreciate her. The Mother’s Day Lunch Buffet in the Atlantic Marquee or Azure Restaurant on 4 May is R495 per person and kicks off at 13h00 in both venues. Delight Mom at one of our Mother’s Day High Tea events in conjunction with Lindt LINDOR. A High Tea Buffet is on offer in The Conservatory, for two sittings - 10h00-12h00 and 14h30-17h00. Price is R310 per person and includes a goodie bag with the compliments of Lindt LINDOR. Our famous High Tea By The Sea will be served in The Leopard Bar throughout the day from 10h00-16h00. 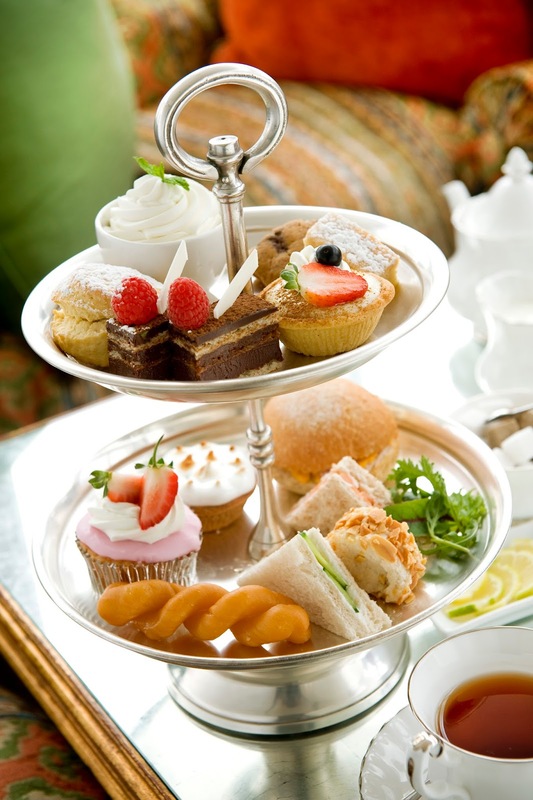 This includes the three-tiered high tea stand, including all the items on the buffet, served to order, at your table. For an evening of sophistication and fine food join us for the De Trafford & Sijinn Winery Wine Dinner on 26 May. Along with the winery, we will host you for a five-course menu with wine pairings at R585 per person. June brings the cold fronts, so treat Dad to a heart and tummy-warming meal at our Father’s Day Lunch Buffet on 18 June, in the Atlantic Marquee and Azure, starting at 13h00. Price is R495 per person. Craft beer continues to grow in popularity, with even with the most ardent beer drinkers becoming devotees! And the ‘Dads’ will LOVE our June Craft Beer and Canape Special that offers five beers, paired with five different canapés, available daily between 11h00 and 18h00, at R225 per person. Also in June, The Café Grill plays host to another ‘winter warmer’, with our delicious Curry Evenings. At R360 per person, the menu includes a traditional plated starter, family-style main course (selection of three curries, rice and roti) and a delectable dessert. On Friday 30 June, the Paul Cluver Wine Dinner will delight guests as they indulge in a delicious five-course menu, accompanied by a selection of fragrant wines, from this well-known wine estate. Price is R585 per person. Our legendary High Tea is the ideal way to spoil yourself or to celebrate a special birthday, Kitchen Tea or Baby Shower. Indulge in scrumptious, freshly baked scones with all the trimmings, cupcakes, and mouth-watering finger sandwiches, enjoyed with the perfect cup of tea or coffee. A special Tea by the Sea buffet is served on weekends, while three-tiered tea stands are available daily in The Leopard Bar, for those who prefer individual service. Conservatory daily. A High Tea Buffet is served on weekends. The perfect night out combines a delectable three-course dinner in Azure Restaurant with the pleasure of snuggling up to a film in our very own 16-seat cinema. Your cinematic experience includes popcorn and sweets throughout the movie. Gather friends and family and sit down to our generous traditional Sunday Lunch Buffet, served in the Azure Restaurant with relaxing live entertainment by lounge vocalist Jenie Oliver. Join us for a complimentary wine tasting hosted by our talented Head Sommelier Gregory Mutambe and his team. Presented every Tuesday, pre-dinner wine tastings are available to Azure Restaurant diners and in-house guests. Discover new South African wines and order your favourite to be savoured over dinner. Join us before dinner for this unique tasting experience, in The Leopard Bar. A selection of three, mostly locally produced brews, will be introduced by one of our talented mixologists, who will explain the different styles and brewing methods and offer the perfect food pairing suggestions. Make yours the best, ‘five-star’ birthday bash ever! Our unique and stress-free children’s party offering includes a delicious fun-filled lunch and milkshake, followed by the movie…chosen by the birthday girl /boy, in our private cinema, with popcorn and a host of sweet treats. Toast our magnificent sunsets from the terrace, or head indoors and sink into a plush sofa to catch up with friends over a glass of wine. Innovative cocktails, tasty snacks, live music and screenings of major sporting events all add up to make The Leopard Bar one of the most desirable hot spots in town. Sit back and relax in The Leopard Bar - open daily for cocktails and snacks, with great views and live music from Monday - Saturday evenings; 18h00 - 21h00.